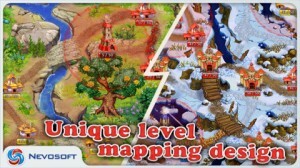 LandGrabbers is an iPhone game developed by Nevosoft, the makers of such games as Supercow and Abyss: The Wraiths of Eden. 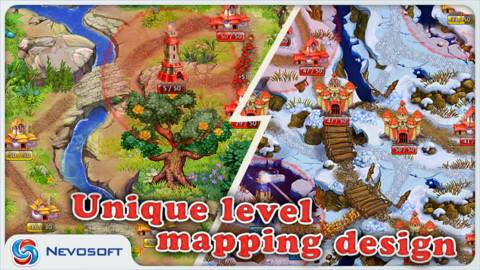 This strategy game immerses you in a land of castles, crusades, and ceaseless warfare. 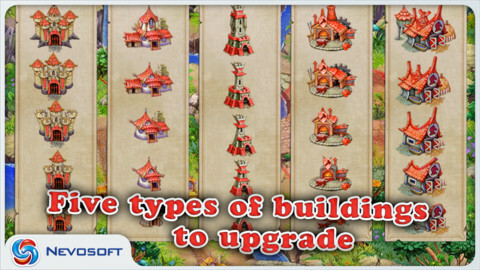 In LandGrabbers, your goal is simple: crush castles. You must use your armies to sack and siege nearby castles and take them as your spoils of war. 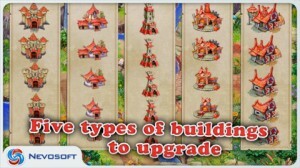 Once all of the castles on the screen are dressed in your regal colors, you win! You’ll get bonuses based on your “rank” and time. I’m a bit torn about LandGrabbers. On the one hand, the controls are drag-based, and really, supremely elegant. Attacking en masse is quickly and elegantly accomplished with just one long swipe. But on the other hand, the tutorial is a bit confusing, and could use a bit more structure to keep users oriented. I also wish there were more maps, though I’m sure more are coming. That being said, I love the different terrains: forest, iceberg, and desert. 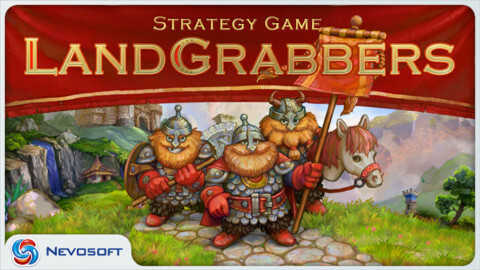 I also love the clever way that LandGrabbers has absorbed and melded with other game genres to complete such an interesting take on the strategy genre. 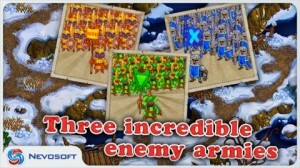 This game combines classic elements of strategy, simulation, and resource management games, making a game that’s more than just the sum of its parts. Boasting 27 levels in 3 diverse locations, tons of different warriors, and even more building types, LandGrabbers spans plenty of environments and offers fresh, fun gameplay. 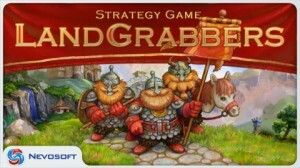 While I have a few things I wouldn’t mind tweaking, this is an overall fun game for strategy addicts. In short, if you’re looking for a new freebie game to become your de facto time waster, you could do a lot worse than LandGrabbers. LandGrabbersis compatible with iPhone, iPod touch, and iPad. Requires iOS 4.3 or later. This app is optimized for iPhone 5.